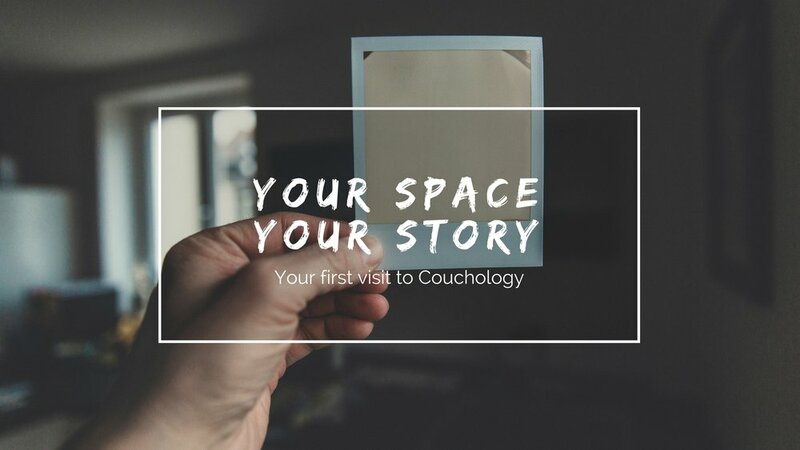 Read on to find out what will happen during that first trip to Couchology. Plan to arrive about 10 minutes prior to your session start time to give yourself a moment to relax, catch your breath, and collect your thoughts before the session. During this time, I will review your completed basic intake paperwork. The first session is the time for your therapist to understand what brings you to consider therapy. Typical questions during intake cover historical background (e.g., family structure, past relationships, history of counseling) and current circumstances (e.g., stressors, support systems). There are no right or wrong answers during this process, only answers that are true for you, and you should feel free to disclose only as much as you feel comfortable sharing in this meeting. I will clarify what you want out of our sessions together and we will discuss initial therapy goals. During this exchange, you can ask any questions you might have about the treatment process and what it entails. Your session would have started at its scheduled time; likewise, it will finish around the stipulated end time to allow the next client the same degree of privacy that you are enjoying. Full payment (cash or card) is required at each appointment. We will also discuss when to follow up for the next session. As you leave, remind yourself that you have just done good in taking care of yourself. It is not unusual for clients to feel emotionally drained after a session; think of it like an emotional discharge of what has been weighing on your mind - and thus weighing *you* down - for a long time. Be kind to yourself after the session. Got more questions about counseling? Find the answers in the FAQ.